The first of the eight alleged gang members charged in the fatal stabbing of a 15-year-old Bronx teen was indicted by a grand jury, prosecutors said Friday. 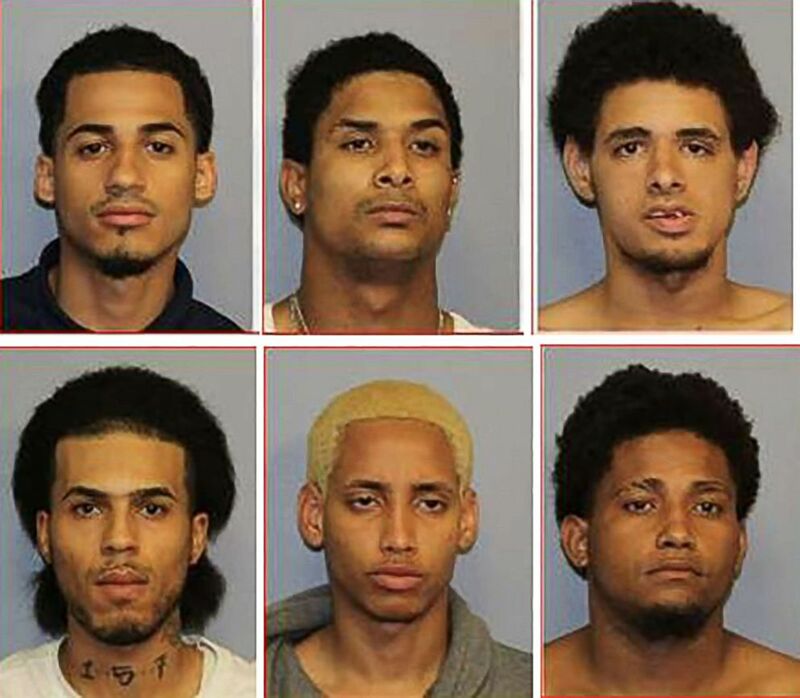 Suspects in the killing of Bronx, NY, teen Guzman-Feliz. Top from left: Danel Fernandez, Joniki Martinez, Jose Muniz. Bottom from left: Jose Taverez, Manuel Rivera, Santiago Rodriguez. The Bronx grand jury handed up an indictment charging Kevin Alvarez, 19, second degree murder in the stabbing death of Lesandro Guzman-Feliz, prosecutors said during a brief appearance Friday. Police said Guzman-Feliz, known to friends as "Junior," and member of NYPD Law Enforcement Explorer program, was mistaken for someone else when members of the Trinitarios street gang attacked him with a knife and a machete earlier this month. He later died after running three blocks to a nearby hospital. 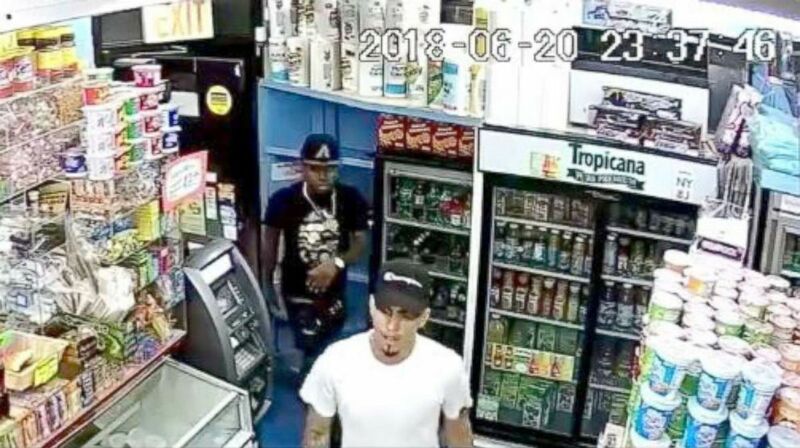 Police release a video surveillance showing two men in the white and black T-shirt as part of a group of men who allegedly hacked Lesandro Guzman-Feliz, 15, with a knife to death in the Bronx on June, 2018. Alvarez turned himself in to police after the attack. The seven other suspects were arrested later and are expected to be indicted next week. Alvarez' attorney, Manuel Portela, said he would not discuss the "the underlying circumstances of the case." "But what I can tell you about Kevin Alvarez is up until this day he had no criminal history, no history of violence," Portela said. " ... He was in the U.S. military [and] received a medical honorable discharge prior to this incident." Police release a video surveillance showing a man in the red T-shirt as part of a group of men who allegedly hacked Lesandro Guzman-Feliz, 15, with a knife to death in the Bronx on June, 2018. Alvarez is due back in court on July 16.